Explanation: The north pole of Saturn's moon Enceladus is unexpectedly fascinating and complex. 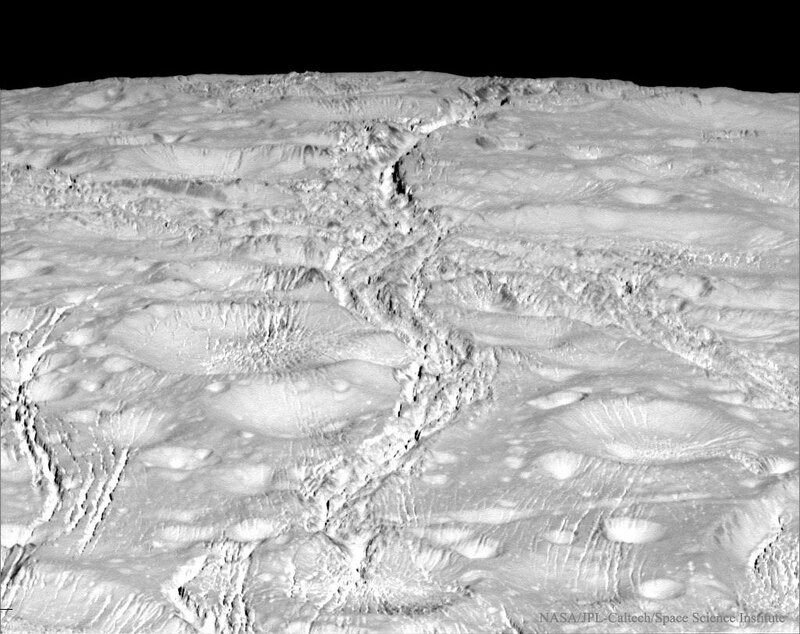 Previous to the latest flyby of the robotic Cassini spacecraft, the northern region was known mostly for its unusually high abundance of craters. Last week's flyby, however, returned images of unprecedented detail, including the featured image showing the expected craters coupled with an unexpected and circuitous pattern of picturesque cracks and fractures. Broken terrain has been recorded at lower latitudes, with deep canyons dubbed Tiger Stripes near Enceladus' South Pole. The fractures may further indicate global interplay between the surface and potential seas underneath, seas that future missions might target for signs of life.